Sometimes you just feel like being disgusting and stuffing your face. Girls, you know this happens at least once a month–we don’t need to go there. And guys, well, you just like anything that’s cheesy and that will shut us girls up. So, win win! This was one of those nights. After pondering about where to feed my comfort food craving, I opted to stay in, buy a bunch of cheese, watch some trashy TV, and peruse some equally trashy magazines. But yeah, I live with my boyfriend now and as unappealing as that might sound, eating hunks of cheese and watching Revenge and Real Housewives weren’t at the top of his list. So, what’s a girl to do?? Melt that cheese, combine it with a bechamel sauce, and then pour that over some elbow pasta and bake it! Bingo! Comfort food craving satisfied for me and boyfriend happy. 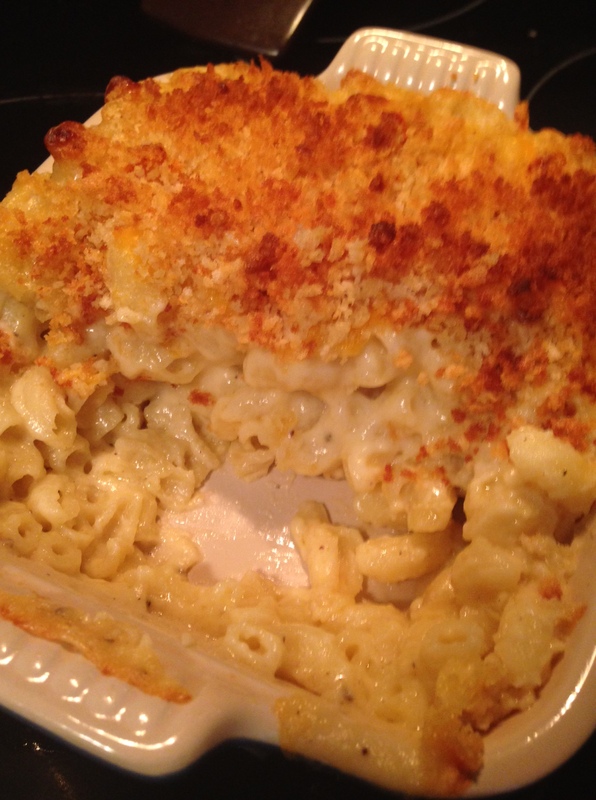 Why can’t everything in life be solved by a creamy mac and cheese? In a large pot, bring some salted water to a boil and cook pasta 2-3 minutes less than packaging says. Drain and rinse with cool water to make avoid pasta sticking together. In a large saucepan, melt 3 tbsp of butter until it begins to bubble. Whisk in the flour until lumps are gone. Stir in the milk and stir constantly with whisk until it thickens and you have formed a bechamel sauce. Once the sauce has thickened, add the grated cheese, and stir until all is combined smoothly. Add the paprika, nutmeg, salt, and pepper. In a small pot, melt the other tablespoon of butter and then pour in breadcrumbs and mix to coat evenly. Combine the pasta and cheese sauce in the large pot. 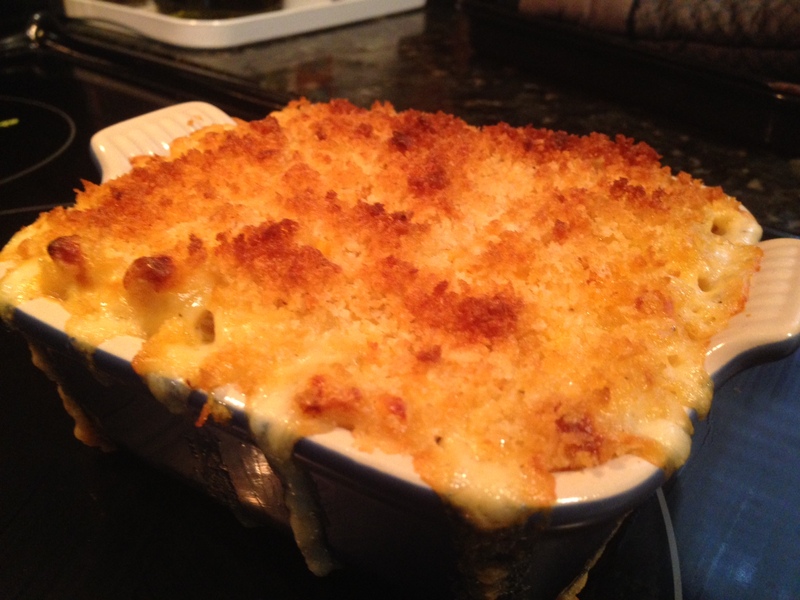 Pour pasta/cheese into a 9X13 inch baking dish and top with breadcrumb mixture. Bake for 10-15 minutes or until breadcrumbs are golden brown and pasta is bubbly. Serve immediately. Was the spicy paprika Spanish pimenton’? I’m right there with you on cravings! It’s horrible…One day i’ll post a copy of my grocery bill during that ‘special’ time! 😉 Homemade extra cheesy Mac & Cheese always helps!